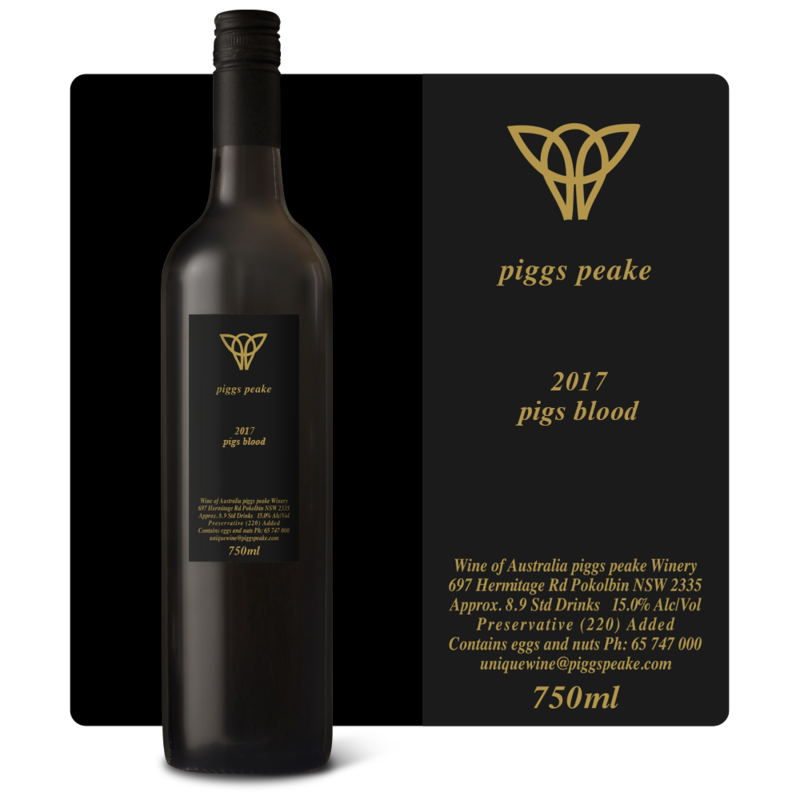 The Pigs Blood has rapidly become an institution at Piggs Peake. Its is a sneaky little blend of Hunter Valley Chambourcin and McLaren Vale Shiraz. Chambourcin is a quirky grape, being one of the few hybrids ie a cross of the American grapes with those of Europe. I have a pet theory that Chambourcin has negative flavor compounds in its skins so we whip them out early in the winemaking. Being Chambourcin it already has amazing colour, but it completely lacks structure. Theres nothing like a big McLaren Vale Shiraz to ad support to a lightly structured wine and that’s how this wine comes together. It’s a softer red with a plush mouthfeel designed for earlier consumption with full flavoured meat dishes. This wine has been disappearing faster and faster each year, so to avoid disappointment please contact Linda to reserve your order.